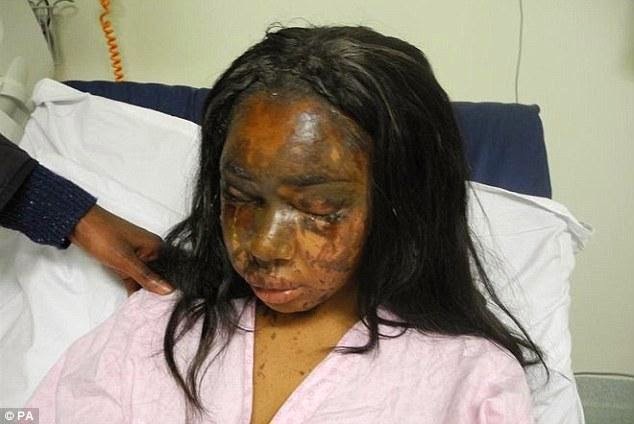 Dailybuzz.ch: Naomi Oni accuses Scotland Yard of 'incompetence' for believing she poured sulphuric acid over her own face! 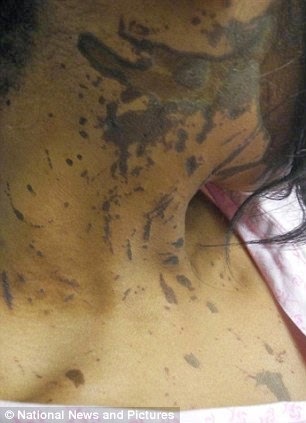 Naomi Oni accuses Scotland Yard of 'incompetence' for believing she poured sulphuric acid over her own face! 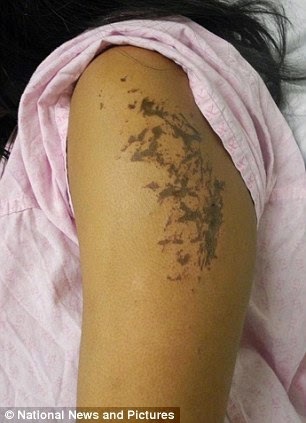 Naomi Oni was disfigured in acid attack by former friend Mary Konye. 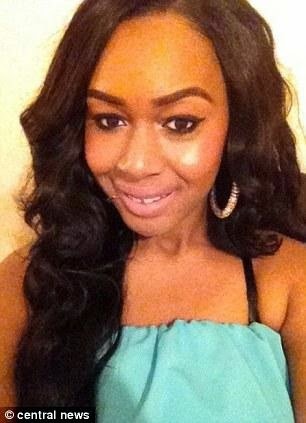 Miss Oni claims police were 'incompetent' in early stages of investigation. Police said they had to look into all possibilities during probe. Miss Oni told the BBC Radio 4 Yesterday programme that police were slow to act on information she gave them about the attack. She said it almost felt like she had 'been accused of lying', adding that she had suffered 'pain and backlash for her (Konye's) actions and other people's incompetence'. The Metropolitan Police said they considered all lines of inquiry in the early stages of their investigation. Miss Oni said officers were incompetent 'to kind of accuse me of doing it to myself, when I've said somebody has followed me from my workplace to my home'. 'I even got told that they watched the CCTV footage and they saw no-one following me,' she said. 'We've all seen the CCTV footage. There was a person in a veil following me. 'Why was this not found in the beginning? She added that she has no idea where the rumour came from initially, but she overheard people talking about it. Today she told Sky News: 'I've had people approach me and even say "oh, she did it to herself". Chillingly, Kony even comforted Ms Oni about the attack as she lay in hospital struggling to come to terms with her terrible injuries. 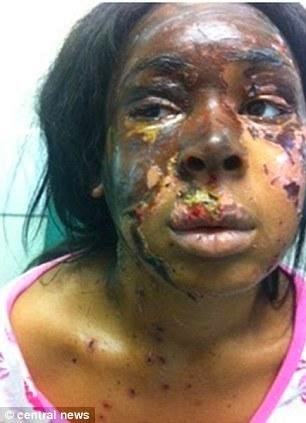 '[Konye] messaged me before she attacked me,' she told the BBC. 'She messaged me while I was in hospital saying "hey girl". Obviously I then told her what had happened to me and she just seemed like "oh my God. What happened?". 'I remember when I had my first surgery when they had to remove my dressings and when I saw my face after the surgery I was just in bits. I was devastated. 'And I remember her phoning me and just crying to her and was like "who could do this to me? I’d never even wish this on my enemy". 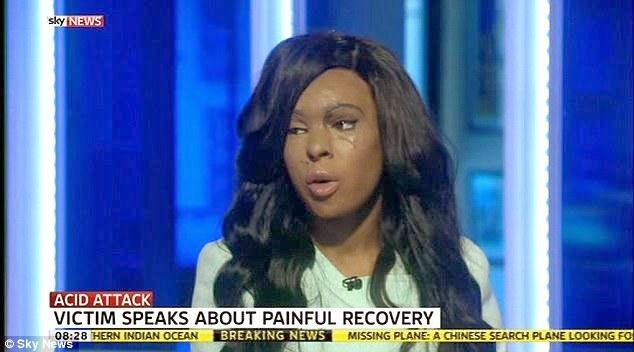 It was argued in court that Miss Oni was trying to find fame by disfiguring herself, inspired by a similar incident in which model and TV presenter Katie Piper was partially blinded and had more than 100 operations to rebuild her face after she was badly disfigured in an acid attack in 2008. But she said the reason she had searched for the case on the internet was that she had seen a documentary on Miss Piper and found it 'a moving and touching story'. Miss Oni described the moment she discovered her friend was the one who attacked her. She said: 'I couldn’t eat for days. I almost didn't believe it when the police told me it was her. I didn’t want to believe it. It didn’t make sense. 'I even asked, I said "oh my God did she send somebody to come after me?" And they just looked at me like "No, you still don’t get it. She IS the person under the veil". A spokesman for the Metropolitan Police said: 'All lines of inquiry were considered in the early stages of the investigation. 'The investigation was detailed and complex and officers had a duty to explore every avenue of inquiry and retain an open mind about the circumstances. 'They carried out numerous actions including door-to-door inquiries, leaflet drops, searches, interviews and forensic analyses. 'The CCTV evidence took some time to collate and analyze but then clearly showed a veiled suspect trailing the victim before the attack. In a victim impact statement read out to the court last week, Ms Oni said she was now 'paranoid and scared' about being outdoors alone and admitted having suicidal thoughts. It was now a 'battle to get by each day' after being permanently disfigured, she added. She has suffered permanent scars to her leg, chest, stomach and arms and was almost blinded in one eye.